I understand there is legitimate concern over the failure to detect and deal with McCarrick’s wrongdoing. I understand that people are right to want accountability and reform. I understand that some people are having trouble reconciling Pope Francis’ refining of CCC #2267 on the inadmissability of the death penalty with previous ages in the Church. Seeking truth is a necessary thing after all. We should seek out the truth in these things so we can do the right things. The problem is, some Catholics are using these things as an excuse to justify their preexisting issues with the Pope and bishops and subsequent rejecting of their authority. The assumption is that these things prove their own views of the Church and justifies rejecting magisterial authority where one disagrees. This mindset (which is not limited to one political ideology) involves people thinking they are the measure of what the Church is supposed to be and if the Church goes against their measure, the Church can be ignored. In the case of Pope Francis refining the teaching on the Death Penalty, a certain group of Catholics have confused their interpretation of past teaching with doctrine. The result is, when the Pope says something that doesn’t fit in with their interpretation, they assume that the Pope is contradicting past teaching. The problem is, the Pope never condemned past teaching on the subject. He, following St. John Paul II and Benedict XVI, pointed out that capital punishment was never a mandatory requirement in the Church but instead a last resort existing to protect society and deter grave crime. Being a last resort means it is only to be used when no other means are available. Popes from St. John Paul II on pointed out that under modern circumstances there are valid means to achieve these means without recourse to the death penalty. Therefore it is inadmissible to use the last resort when we have these means. Hypothetically, we could have a societal collapse where these means are no longer available, but we certainly can’t argue that those conditions exist now. What dissent in both of these cases have in common is a rejection of the lawful exercise of the magisterium. 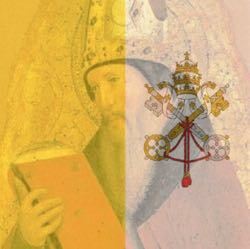 The Pope does have the authority over all parts of the Church to determine what is the best way to apply the timeless teachings of the Church to this particular time. The bishops, regardless of the existence of scandal, still have the authority to shepherd the Church in communion with the Pope. Whoever refuses to give the required submission is in danger of falling into schism. From that, I think we can recognize that those Catholics who advocate disobedience to the teaching authority of the Pope or bishops in communion with him are advocating rebellion. They might claim that they are being truly faithful, but Scripture (Matthew 18:17, Luke 10:16) and Church teaching tells us that this is rejecting Our Lord. To follow them is to become the blind led by the blind. That does not mean we have no recourse in the face of an injustice. But it does mean that we have obligations to obey Church teaching and not treat sin or corruption among some bishops as an excuse to withhold that obedience. If we want to be faithful Catholics, we have to listen to the exercise of the teaching authority, even if we don’t like the actions of some of the teachers. Our Lord did not give us an escape clause that justifies dissent from legitimate teaching. The Pharisee and the... Bishop?